This chapter covers the use of the AutoTweetNG and Joocial social media component for Joomla! -powered web sites. Both the free AutoTweetNG and the subscription-based AutoTweetNG PRO and Joocial editions are completely covered. AutoTweetNG and Joocial (or AutoTweet for short) are extensions for Joomla! to enhance your social media management. AutoTweet publishes messages from Joomla! to social channels: Facebook, Twitter and LinkedIn. Joocial publishes messages from Joomla! to social channels: Facebook, Twitter, LinkedIn, Blogger, Telegram, Medium, Tumblr, Pinterest, VK, JomSocial and EasySocial. Now, Joocial has a new tool: Composer App. Joocial Composer App is a mobile application to integrate and support mobile social sharing to any social network. For instance: Facebook, Twitter, Instagram, Pinterest, WhatsApp (or any other application ). Beyond the original auto-publishing scope, oriented to support back-end unattended auto-posting, Joocial adds major features to support full management of your social content. Both are designed for administrators and social media managers who want to disseminate their content to their social channels. While we provide some extensions free of charge, we do not provide support for free. If you are interested in receiving support please consider an Extly.com subscription. AutoTweet publishes automagically "Posts" to Facebook, LinkedIn, Twitter and more. AutoTweet publishes Title, Text, Full-Text, Image, Web Address (Url), Hashtags, etc. Powerful Rule Engine, to create fully customized messages by category, author, language, access levels, text terms, etc. Article Generator, RSS Feeds grabber for Automatic Articles and Posts. 60+ integration Plug-ins for major Joomla! extensions: Joomla! Content, Weblinks and On new user, Agora, Cobalt CCK, CommunityBuilder, DJ-Classifieds, DOCman, DT Register, EasyBlog, EasyDiscuss, EasySocial, EventBooking, Eventlist, FAQ Book, FlexiContent, HikaShop, HWDMediaShare, IProperty, JCalPro, JComments, Jomres, JomSocial, JomWall, JoomDonation, JoomGallery, JoomShopping, JReviews, K2, Komento, Kunena Forum, ListBingo, MijoShop, Mosets Tree, Music Collection, Ohanah, Phoca Download, Remository, Seblod, SimpleCalendar, SobiPro, Testimonials (Infyways), Testimonials (JoomPlace), VirtueMart, and ZOO. 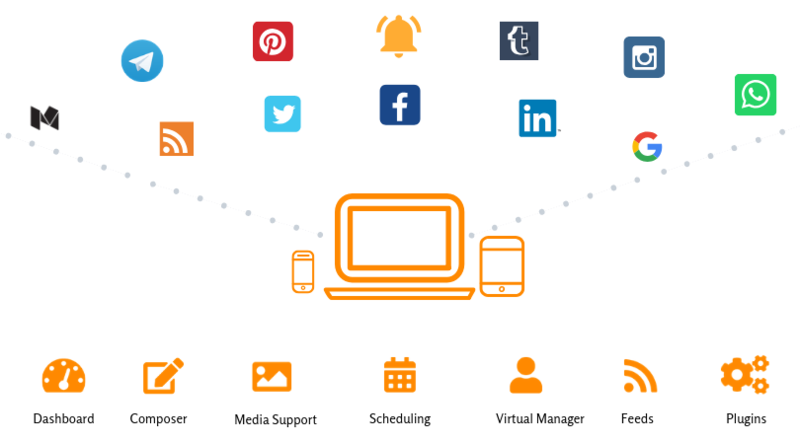 Message/Post Management, compose your social publishing, select media and schedule messages from everywhere. Virtual Manager, high-level virtual assistant to manage when Messages are published. Scheduling: Defined an agenda, according to working hours or when repeats are re-published.